Amazon has increased production output on its Kindle Fire tablet for the second time to the tune of 5 million units by the end of the year. The company is betting big based on strong pre-orders, according to sources from upstream component suppliers as reported by DigiTimes. 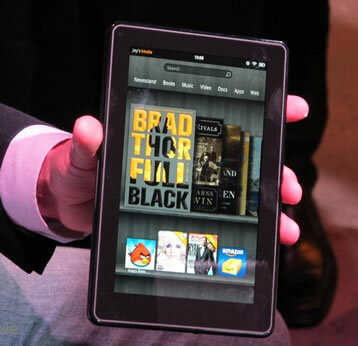 This is the second time that Amazon has ramped up production on the 7-inch tablet ahead of its public launch. In the middle of the third quarter, the Kindle maker called for 4 million units to be produced, up from the original 3.5 million when the tablet was announced. These rumors fall in line with similar statements from Amazon CEO Jeff Bezos last month during an earnings call. Bezos said pre-orders have exceeded expectations and thus they were increasing capacity and building millions more than initially planned, although he didn’t give any specific numbers. Furthermore, Amazon believes that Kindle Fire will remain strong past the holiday season which could prompt even more orders depending on how quickly the 5 million sell out. Upstream component suppliers that look to benefit from the increased demand include Wintek, Chunghwa Picture Tubes (CPT), LG Display, Quanta Computer, Ilitek, Aces Connectors and Wah Hong Industrial. Amazon’s Kindle Fire is expected to go head-to-head with Barnes & Noble’s Nook Tablet this holiday season. Amazon’s tablet is set to launch on November 15 at an attractive $199 price point while the recently-announced Nook Tablet sells for $50 more but offers double the RAM and internal storage capacity of the Kindle Fire. The Nook Tablet will be available starting November 18.